This was an action to recover penalties by the plaintiff, a member, and on behalf, of the Goldsmiths' Company, against the defendant, a silversmith, for the alleged counterfeiting of the Hall marks of the company. The defendant pleaded, amongst other things, a statute of limitations, and also that the plaintiff was not a "person aggrieved" within the meaning of the Act relied on. To these pleas the plaintiff demurred, and the argument of the demurrer was heard today. Mr. Wills, Q.C., with whom was Mr. Coxon, supported the demurrer. The question to be decided turned upon the language of the Act 7 and 8, William IV., chapter 22, which was passed for the more effectual prevention of fraud in the manufacture and marking of plate. Section 5 of the Act provided that every dealer in gold and silver wares who should sell, exchange, or keep for sale, or have in his possession any gold or silver ware which, had been altered or added to, the alteration or addition not having been assayed or marked, should for every such offence forfeit a certain prescribed penalty ; and it was enacted that the penalties might be recovered by any of the several goldsmiths' companies of London, or of a number of other cities and towns which were named. The learned counsel contended that the penalties could be recovered by any one of the companies, even though, the counterfeiting did not take place in the town, and was not the mark of the company by whom the action was brought. If it were otherwise, the London Hall mark might be imitated and the sale take place, without penalty, in Sheffield. Then as to the limitation of two years relied on in the plea, it only related to a " common informer," which, the company suing was not. If it were otherwise, counterfeited articles might be kept back for over two years, and then sold with impunity. 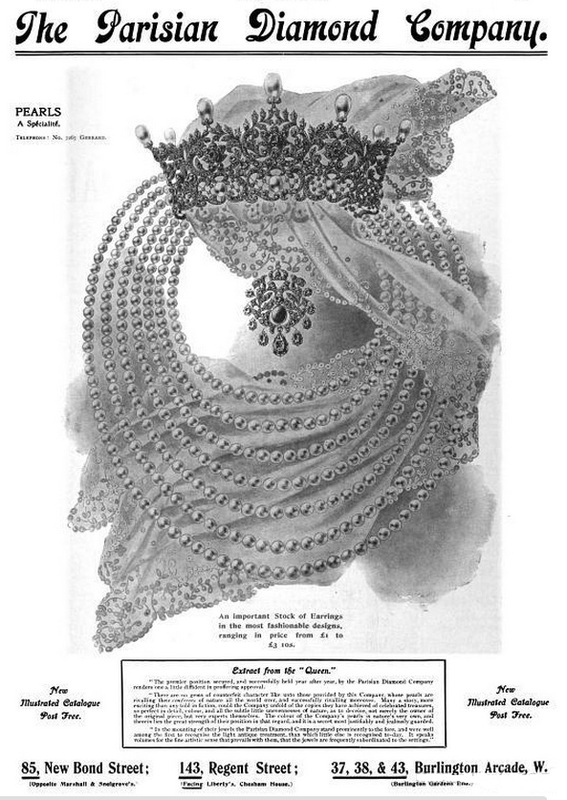 Mr. Justice Field inquired whether the articles the subject of the action were portions of the Queen Anne's silver of which they had read so much lately. Mr. Wills replied that such was the case. Sir John Holker, Q.C. (with whom was Mr. Crumpe), contended that the plea was good, and was a bar to the action. Rightly or wrongly, the statutes limited the rigbt to sue for penalties to two years from the committal of the offence alleged, and the plaintiff could not succeed, not being "a party aggrieved," because if the articles in question had been brought to the Goldsmiths' Company to be assayed, they would not have been marked, and therefore no fee would have become payable. The Goldsmiths' Company stood in the same position as an " informer," and statutes of Elizabeth and of Henry VIII. barred the bringing of actions for penalties by informers after the lapse of one year, a limit which was extended by the Act relied on by the defendant to two years. After a lengthened legal argument. Judgment was delivered on the 17th ult. by Mr. Justice Field. Having stated the facts of the case and the Acts referred to in the argument, his lordship said he was clearly of opinion that the plaintiff, as representing the Goldsmiths' Company of London, was a person aggrieved within the meaning of the statutes, but that the action was barred by tbe limitation provided by the statutes. Judgment was accordingly given for the defendant. The trial does not appear to have Henry Curry much harm, he continued in business at 21, Great Sutton Street until about 1890, when the premises were taken over by Charles Stuart Harris junior. However, in 1891, Charles Stuart Harris junior was declared bankrupt and following that event, removed to 7, Meredith Street, Clerkenwell, and also to the additional premises of 11, President Street, Goswell Street, Clerkenwell, where his partner was noted as being no less than Henry William Curry, their business being styled as C.S. Harris & Co. (not to be confused with his father's firm of C.S. Harris & Sons Ltd.). William Henry Curry entered marks at the London Assay Office on the 1st January 1868 (an oblong punch with clipped corners H.W.C with pellets) , 13th March 1869 (a triple lobed punch H.W.C with pellets), and on the 23rd March 1882 (2 x triple lobed punches H.W.C with pellets, and HWC without pellets. Frederick William Powell and Henry Fowler formed a short lived partnership from around the year of the above advertisement, 1887, until its dissolution on the 25th December 1888. Prior to this partnership, Frederick Powell had been in business as manufacturing jeweller and silversmith since 1881, located at 23, Great Sutton Street, Clerkenwell, and following the dissolution of the partnership he removed to 5, Hatton Garden. In 1897 he was noted as a manufacturers agent at 22, Thavies Inn, Holborn. Henry Fowler had earlier been in partnership with William Harrison Walter at 31, Newgate Street, London EC from 1881 until 1887(dissolved 1st February 1887), under the style of Fowler & Walter. Fowler & Powell entered just the one mark at the London Assay Office on the 28th April 1887 (an oblong punch with clipped corners F.W.P [Frederick William Powell]). The business of Henry John Distin and Richard Hayter Jarvis. Their partnership was dissolved on the 19th July 1864, and in 1868 the company was acquired by Boosey & Co., who continued to style the business as Distin & Co. until 1885 when the name of Boosey & Co. was adopted. Henry Distin & Co. were exhibitors at the International Exhibition of 1862. A later address following the takeover by Boosey & Co. was noted as 6a, Frederick Mews, Stanhope Place, London W.
The business of Walter Leighton Sanderson. Also noted at 248, Regent Street in 1892, and 22, Glasshouse Street in 1897. Converted into a limited liability company c.1913. Walter Leighton Sanderson died in 1913, aged 56 years. Walter Leighton Sanderson entered just the one mark at the London Assay Office on the 23rd September 1892, an oblong punch, WLS. James Griffith Lee founded his business in c.1865. The firm was continued by James Bacon Lee as from 1907. James Griffith Lee entered just the one mark at the London Assay Office on the 16th January 1884, JGL in an oval punch. Thomas Pratt & Sons became a limited liability company by 1913. A later address was noted as 34, Southampton Street, Strand, WC2. Thomas Pratt & Sons Ltd were believed to be in business until at least 1961. Thomas Pratt & Sons entered their marks at the London Assay Office on the 9th May 1894, T.P in an oval punch, in two different sizes. Fred Thoms started on his own account in the early 1880's. In 1889 he removed to 41, Spencer Street having acquired the business of the former occupier there, which was likely to have been that of George James Thickbroom. Thoms moved again in 1908, this time to 25, Spencer Street, and stayed at this address until his death on the 15th October 1930 and his business was absorbed into that of Joseph Walton & Co. who also took over the premises. Fred Thoms entered five marks at the London Assay Office. An Oval 'F.T' on the 4th October 1883, another oval 'F.T' on the 9th May 1892, an oval 'FT' with 'London' beneath on the 19th November 1902, another similar on the 4th December 1902, and an oval 'F.T' also on the 4th December 1902. Not so well known as his more famous father and brother, Sampson Mordan I & II, but equal in quality as a manufacturer. Francis Mordan was born in 1817, and was the younger brother, by three years, of Sampson II. Francis started on his own account at a very young age and established his business, perhaps acquired from Aaron Porter Cleveland, in the late 1830's. He specialised in the manufacture of gold pens that were made to a very high standard and each one was individually numbered. This business was at one time styled Mordan & Hyde, with Thomas Spencer Hyde being the other partner, they had premises at 6, Goswell Street, Clerkenwell. Thomas Hyde retired from the business in 1847. By 1852, Francis Mordan was noted as being located at 13, Frederick Place, Goswell Road, Clerkenwell, and by 1862 at the Albion Works, 326, City Road. Francis Mordan & Co. displayed their wares at the International Exhibition in 1862 and the Paris Universal Exhibition of 1867, where one reporter noted "I ought, perhaps, to pass this case, being that of Mr. F. Mordan, London, who is a " gold " not " steel" pen-maker, but one article in his case deserves mention. He exhibits a very good assortment of gold pens, and the most beautiful penholders I have yet seen. They are made in silver, and silver gilt, the design or pattern is a fac-simile of the old goosequill pen when cut and trimmed for use. The feathering is most beautifully executed, and they are also very richly jewelled round the quill part of the holder, altogether haying a very handsome appearance". Francis Mordan died on the 27th March 1868, the firm was continued by John Jackson Crosbie and Charles Douglas Singer. Charles Singer left the partnership in 1875, and the firm was continued by John Crosbie, Frank Crosbie, and John Freemont. John Crosbie retired on the 1st January 1887. This is an arrangement introduced by Messrs. F. Mordan and Co., of Albion Works, 326, City-road, for the purpose of enabling the consumer of liquid gum to remove the cork or stopper of the bottle without the aid of a corkscrew. In order to bring this desirable facility about, each stopper has been fitted with a strong metal ring, which projects above the head or crown of the stopper. To this ring is fitted tho handle of the gum brush which when thrust through the ring, forms a very powerful cross grip, like that of a gimlet or boot hook, by the aid of which the most firmly fixed cork can be withdrawn from its hold. When not in use for laying on gum, the brush may be conveniently disposed of by placing it so as to rest in the crown ring. Francis Mordan & Co. registered just one mark at the London Assay Office, 'F.C' (Frank Crosbie) in an oblong, on the 28th October 1886. Jes Barkentin was of born in Denmark around 1815, and is thought to have been an employee of Hunt & Roskell at some time. He is first recorded as being located at 23, Berners Street, Oxford Street, in 1862, and noted at the same address as being in partnership with George Slater as Barkentin & Slater in around the 1865-1867 period, also at this time, he appears to have had a partnership with Alfred Bullock at 291, Regent Street. The partnership with Bullock was dissolved on the 15th February 1867. In 1873 he entered into partnership with Carl Christof Krall and the firm styled Barkentin & Krall. They were recorded from 1873 as being located at 291, Regent Street, and from 1877 at 291 & 289, Regent Street. Jes Barkentin died in 1883. Barkentin & Krall were converted into a limited liability company in 1914. Carl Christof Krall was born in Heidelberg, Germany in 1844 of Czechoslovakian origin, his death was recorded in 1923, aged 79 years. Following that event Walter Stoye was appointed Managing Director of Barkentin & Krall Ltd. Stoye is thought to have joined the firm as a designer sometime around 1912, and married Annie Krall, daughter of Carl Christof Krall, in 1915 The company ceased trading in 1935, their last noted address in the Post Office Directory of 1930 was 37 & 38 Margaret Street, London. The Silver Altar for St. Mark's, Philadelphia.– The Silver Altar for the Lady Chapel at St. Mark's, Philadelphia, produced by Messrs. Barkentin and Krall, of Regent-street, under the supervision of Mr. Krall, has lately been on view in London. It is probably the most important piece of silversmith's work executed in England within recent years– as elaborate in its way as the celebrated altar at Florence, though, of course, not by any means so large. The central feature of the design is a figure of the Madonna standing under a simple canopy and holding the Child in her arms. On each side of her are six panels, arranged in two tiers, depicting the various scenes from the life of the Virgin, and these panels are divided vertically by half-columns, enshrining each eighteen little figures of saints in full relief, each one under a separate canopy. Every capital contains a group of three kneeling angels, and between the capitals and connecting them, runs a rich band of scrollwork in deep relief. The horizontal division of the panels is less marked than the vertical, and consists only of a line of roses with jewelled centres; whilst similar bands of ornamentation divide the subjects from the cornice and the plinth. The fact that the complete work comprises some hundreds of figures (there are a hundred and forty-four on the half-columns alone) gives some idea of the complexity and detail of the design; and it will be readily understood that so important and so intricate a piece of work has necessitated great labour and great care in production, and has taken the best efforts of skilled craftsmen to carry to a successful conclusion. It is not often that an elaborate piece of silversmiths' work on a scale in any degtee approaching that of the altar for St. Mark's is wanted. Monumental works in silver are naturally rare; it is satisfactory to find that when America wants such a noble piece of work she comes to England for it. It is further gratifying to know that, however divergent may be the opinions with regard to the design of the altar, however differently people may regard the employment of such multitudinous figures, however much they may cavil at this detail or that, we are at least sending to America a piece of workmanship of which we have no cause to be ashamed and every reason to be proud. BARKENTIN & KRALL, Goldsmiths, &c, 289 & 291,Regent Street, W. The distinguished house of Messrs. Barkentin & Krall, goldsmiths, was founded in 1853, in Berners Street. The present premises which have been occupied for the past twenty-two years, comprise a large, well-lighted, and commodiously arranged show-room, with excellent street frontage and three fine windows, affording ample opportunity for the effective display of goods ; an extensive factory is controlled in Marylebone Passage, giving employment to a considerable force of skilled operatives. The industrial processes engaged in by this eminent house comprise all sorts of goldsmith's work and art metal working, with admirably developed specialities in ecclesiastical work of every description, church plate, and antique jewellery. A very large and exceedingly handsome stock is held in the well appointed show rooms ; and the richness of its various items aided by the excellent arrangement to which it has been subjected, constitutes it one of the finest displays of its kind to be found in the Metropolis. Many are its features of attraction, especially among the array of antique brass work. There are bishops' croziers, reredos figures, lecterns of particularly handsome design, brass crosses, and a great variety of similar ecclesiastical work. A speciality in this respect consists in memorial brasses ; and very fine examples of Messrs. Barkentin & Krall's work in this line are to be seen in Westminster Abbey and other church edifices. There are also shown a magnificent pair of brass fire dogs, valued at Â£127; some very fine clock cases, carved in steel and damascened in silver and gold, and ornamented with silver figures ; a rich and valuable assortment of old style jewellery, of exquisite workmanship and pattern ; and a stock of lamps, girandoles, and a very fine selection of wrought and carved iron specimens, with single and double tracery work of the most delicate and artistic finish, &c, in the most charming designs. Messrs. Barkentin and Krall operate under the distinguished patronage of H.R.H the Princess of Wales and the Ecclesiological Society. A valuable and influential connection is maintained among all the most eminent architects in the kingdom ; and they enjoy the support and custom of the best classes of metropolitan and country residents, who find strong recommendation for the establishment in the high repute it has always held in the industrial world, and the many qualities of notable merit which characterize its artistic productions. Carl Krall entered three marks at the London Assay Office, 'CK' in an oblong punch on the 28th November 1883, 'C.K' in an oblong punch on the 20th October 1890, and 'C.K' in an oblong punch on the 24th July 1902. Jes Barkentin entered four marks at the London Assay Office, a conjoined 'JB' in an oblong punch x 2, and 'J.B' in an oblong punch x 2, all on the 13th October 1862. One of the more unusual businesses to register at the London Assay Office was Rowland Ward & Co. Ltd. James Rowland Ward was born in London in 1847, he was the son of the noted taxidermist, Henry Ward. Rowland Ward left school at the age of 14 and served a 10 year apprenticeship at his father’s taxidermy studio, during that period he became noted as a gifted sculptor as well as an illustrator. Following the completion of his apprenticeship he was granted a large commission to produce a series of sculptured life-size heads of animals to be displayed in a large country house, the resulting fee he earned was used to start his own business with immediate success. He was recorded as exhibiting a grizzly bear at the Philadelphia Exhibition in 1876. Rowland's father, Henry, died in c.1878, and Rowland acquired his father's business and moved into larger premises in fashionable Piccadilly, which he named 'The Jungle'. He broke from the conservative style of taxidermy and produced animals in realistic settings and became very successful. In 1886 he arranged a vast tableau especially for the Colonial and Indian Exhibition, it consisted of over a hundred specimens including a full size elephant, this ambitious achievement was one of the most notable exhibits on view at the exhibition, this format was to become a forerunner of later museum displays worldwide. Rowland Ward died in 1912, but his business, that had become a limited liability company in 1890's, continues, in part, to this day. Following Rowland Ward's death the business was in the hands of John Binmore Burlace, who had been a director of the firm for some years, and in 1946 Gerald Best acquired the controlling interest in the firm, and later, in 1950 he opened a branch in Nairobi. Gerald Best died in 1969, the business passed to his sons, Anthony and Timothy, but the days of big game hunting were becoming a thing of the past and the taxidermy workshops closed in the mid 1970s and the company was formally wound up in 1983. Rowland Ward & Co.Ltd. were also publishers of books and related material on the subject of hunting etc., including Rowland ward's autobiography 'A Naturalist’s Life Study in the Art of Taxidermy' that was published in 1913 (reprinted 2002), 'The Sportsman’s Handbook to Practical Collecting, Preserving, and Artistic Setting-up of Trophies and Specimens' which was first published in 1880 and has been updated over the years and is now in its 15th edition (2004), and 'Horn Measurements and Weights of the Great Game of the World' first published in 1892 and now in its 26th edition. The name Rowland Ward and the rights to the publications have now been bought by the Halse family and the books continue to be edited and published in South Africa. Rowland Ward entered his marks at the London Assay Office on the 18th October 1888, 'RW' in an oblong punch with clipped corners in two sizes. Rowland Ward & Co. Ltd. entered their marks on the 5th February 1907, 'RW' above 'LTD' in an oblong punch with a semi circular base. Albert Barker started his business in c.1885, after previously holding the position of a director at Walter Thornhill & Co., Dressing Case and Travelling Bag Manufacturers of 144, New Bond Street. By 1892 he was the holder of a Royal Warrant granted by H.M.Queen Victoria and T.R.H The Prince and Princess of Wales. Albert Barker's manufactory was located at 25, Lexington Street, Golden Square, and from that address and the New Bond Street one, they were converted into a limited liability company in 1893 with Albert Barker being the sole director. The factory was to move the following year to 9, Great Newport Street, Charing Cross Road, London, but is thought to have closed soon afterwards. By 1913 the company was in the hands of Frank Shuttleworth and Arthur Percy Almond, but the fortunes of the firm had declined badly, and the they were wound up in March 1915. What was left of the business was continued By Frank Shuttleworth and another former employee, the new firm being styled Baxter & Shuttleworth (successors to Albert Barker), they were located at 54, South Molton Street, London, but the partnership was dissolved in February 1916, and although Frank Shuttleworth continued for another couple of years, he was bankrupted in 1918. Albert Barker entered marks at the London Assay Office on the 17th April 1890, 'AB' contained in an oval, and on the 18th August 1890, 'AB' contained in an oval. Albert Barker Ltd. entered their marks at the LAO on the 17th September 1901, 'A.B' in an oblong punch with clipped corners in two sizes, and on the 3rd December 1913, 'AB above Ld contained in a trefoil, and on the 19th February 1914 another similar. 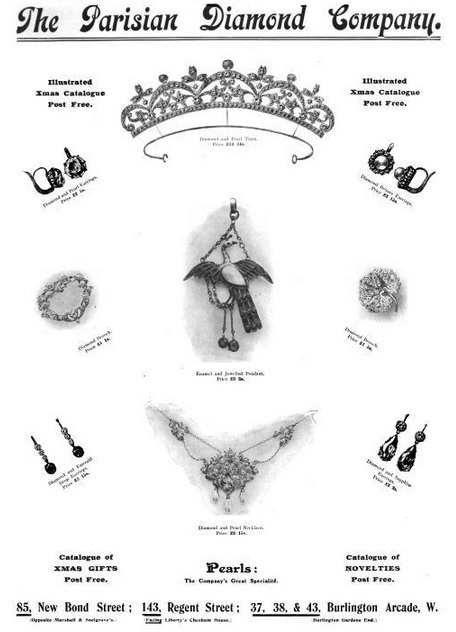 Procter & Co. were importers of Indian Gold and Silverware and Jewellery. They exhibited at the Manchester Exhibition of 1887 and the Antwerp Exhibition of 1894. On the right from the Chester Road entrance is the stand of Messrs. Procter & Co., London. Their display comprises, among other exhibits, specimens of Indian work in gold, silver, copper and iron, &c, and a diamond which in itself is almost worth a visit to the Exhibition. In 1899 they were acquired by F.B. Goodyer. No marks were entered at the London Assay Office under his name. This business was founded by A.H. Botwright in 1865 and by 1885 he had been joined in partnership by Arthur Grey. In 1885 they were recorded as being located at 287, Essex Road, London. By 1890 they had removed to 13, Spencer Street, Clerkenwell. Botwright & Grey were noted as having displayed their products at the Peoples' Palace Exhibition in 1889, and at the Optical Trades Exhibition in 1907. In 1901 the directors of the company were noted as Arthur Ernest Grey and David Grey. Messrs. Botwright and Grey, of Clerkenwell, are exceedingly well-known to colonial buyers, for whom they have several specialties, among which we might mention their interchangeable spectacles and eye-glasses, which are designed to enable retailers to fit accurately and with a minimum of trouble any of their frames with new glasses when necessary, and thus obviating the trouble usually experienced in the thousand-and-one sizes and patterns which now exist. This, of course, is but one of the firm's specialties; their manufactures extend over all kinds of optical goods, and having had considerable experience in colonial trade and, indeed, having offices both in Bombay and Sydney, they are well supplied with every requirement of the colonial trader. Botwright & Grey entered their marks at the London Assay Office on the 20th February 1901, 'B & G' in an oblong punch in two sizes. This business was founded by James Burns as Booksellers and Publishers in 1835, it was later styled as Burns & Lambert, and as from 1866, Burns, Lambert & Oates when William Wilfred Oates joined the company, and later still as Burns & Oates. The business passed to William Oates's son, Wilfred, who was noted as being in partnership with Joseph Michael Hennessy, and as from 1885 the firm was in the hands of Hennessy alone. They were appointed ‘Publishers to the Holy See’ by Pope Leo XIII and towards the end of the 19th century they were complete church furnishers and were noted as being the London agents for the French Gold & Silversmiths, Maurice Poussielgue-Rusand Fils of 3, Rue Cassette, Paris who were in a similar line of business themselves. Burn & Oates are still in the business of publishing religious books today, and are part of the Bloomsbury publishng group. Burns, James, publisher and author, was born in 1808 at a small town near Montrose, in Forfarshire, and was the eldest of eight children. It was intended that he should follow his father's calling, the Presbyterian ministry, and to this end he entered one of the best colleges in Glasgow; but even at this early stage of life the boy felt there was nothing of preacher or minister about him, and so he left the college and came to London, where he was employed by Whitaker & Co., publishers. This was in 1832, and his wonderful aptitude for business soon won him his master's confidence. After acquiring a thorough knowledge of the bookselling trade, he left Whitaker's and set up for himself in a very modest way in Portman Street. In a few years the name of James Burns came prominently to the fore in the list of English publishers. The clergy of the Established Church found in him a most active auxiliary in the tracts and publications they were at that time publishing. He soon threw off the Presbyterian form of worship and took to Puseyism, or High Churchism, as it was then called, and published two really valuable series, "The Englishman's Library," and "The Fireside Library," which supplied a desideratum of interesting and instructive books, all bearing a high literary tone. The "Eucharistica" is a notable example of the artistic taste he lavished upon everything that bore his name. When the movement of the Oxford party towards Catholicism, with Newman at its head, was going slowly but surely forward, James Burns began to have serious doubts and misgivings, and finally followed in the wake of many whose publisher he had been in Protestant days. He relinquished the glorious prospects which lay before him, and, throwing worldly considerations aside, publicly professed himself a Catholic. His conversion took place in 1847, the thirty-ninth year of his age, with a wife and young family to care for. At the time of his conversion Mr. Burns played so important a part in the literary world that the announcement of his secession from the Established Church appeared in The Times, and letters poured in from his Anglican friends dissuading him from the step. Then with a will he set to work, disposed of books which were unsuitable for Catholic taste, and in a very short time gave to Catholics an abundant supply of good and wholesome reading, of which at that particular time they stood in so much need. He afterwards took Mr. Lambert into partnership; and from Burns & Lambert the style of the firm became Burns, Lambert & Oates in 1866, when Mr. William Wilfrid Oates joined the firm, and subsequently was changed to Burns & Oates. Mr. Burns died April 11, 1871, aged 62, leaving behind him a wife, now cloistered with four of her daughters in the Ursuline Convent at Pittsburgh ; one son in the Society of Jesus; and one other daughter a Sister of Charity in England. Burns & Oates entered just one mark with the London Assay Office, WO (Wilfred Oates) in a rhombus, on the 10th November 1883. Leopold Claremont learned the trade of diamond cutting having served an apprenticeship under Richard Cook Nockold. He later became manager of Edwin Streeter's gem cutting establishment. Around 1895 Streeter sold off this subsidiary and it was acquired by Claremont, who started business on his own account at 16, Glasshouse Street. At some point, around the turn of the century Leopold Claremont took a partner into the business as by 1902 the firm was styled Claremont & Ward and now located at 38, Conduit Street, Regent Street. The partnership appears to be a short-lived one as in 1903 the firm was converted into a limited liability company styled as Claremont Ltd. In 1918 the firm were recorded at 16, Conduit Street. An image of Leopold Claremont at work, taken from his book 'The Gem-Cutter's Craft', published in 1906. 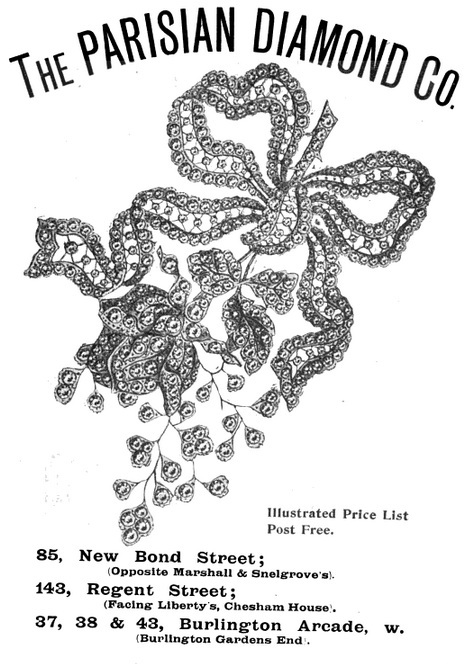 In the "delicate" and costly matter of jewellery, we cannot but call to mind Mr. George Edward, of Piccadilly (corner of Albemarle Street), as a man of knowledge and excellent taste, fair dealing, and well known to many customers in London and the North: a gentleman who always has an attractive show of the prettiest things suitable alike for a gentleman or a lady. Having been in business with his father and brothers, George Sherwood Edward decided in 1889 to strike out on his own account. The decision, however, turned out to be an ill-fated one, for he was found bankrupt in 1892. George Edward entered one mark with the London Assay Office on the 22nd May 1890, and it was one of the more unusual ones, the letter 'E' incorporating a smaller 'G' in the centre, contained within a quartefoil outline. This business is not to be confused with that of George Edward & Sons of London and Glasgow. This business was founded c.1860 by John James Durrant. He was later joined in partnership by his son, William James Durrant, and the firm was styled J.J. Durrant & Son. John James Durrant died on the 10th January 1905, aged 80 years, and William Durrant continued alone as sole owner and now occupying 40, Cheapside only. John James Durrant entered marks at the London Assay Office on the 10th December 1874 and the 7th February 1876, the entries on both occasions were 'J.J.D' in an oblong punch with clipped corners. J.J. Durrant & Son entered a further series of marks on the 15th April 1905, 'J.J.D & S' contained within a double framed oblong punch, in six sizes. This firm has its origins with George Jervis Oram who was first recorded in 1842 at 13, Whiskin Street, Clerkenwell. He was joined in the business in c.1850 by George John Oram, who was presumably his son as the firm was now restyled 'George Oram & Son' and later removed to 19, Wilmington Square. George Jervis Oram retired in 1858, and George John Oram then continued under his own name until c.1865 when the business reverted to its former name of 'George Oram & Son' . George John Oram was noted as an exhibitor at the International Exhibition of 1862. George John Oram entered three marks with the London Assay Office, an incuse 'GJO' without outline on the 14th December 1858, 'GJO' in an oblong punch with clipped corners on the 31st March 1865, and 'GJO' in an oval on the 19th September 1879. John Pound & Co. were manufacturers and retailers of high quality travelling cases, trunks, luggage, dressing cases, writing cases, hat boxes, ladies handbags, etc. This business was originally established by John Pound's father, Henry Pound, who founded the company in 1823. By 1841 Henry Pound was in partnership with JohnTasker, and the business was styled Pound & Tasker. The partnership was dissolved by 1852 and Henry then went into partnership with his son, John, and the business was then styled Henry Pound & Son, with premises at 81-82, Leadenhall Street, and Gunpowder Alley, Crutched Friars. Following Henry's death, John assumed control of the company and by the 1870's we see the business styled John Pound & Co.
By the turn of the century, the directors were noted as John Pound, John Lulham Pound, and Percy Herbert Pound. John Pound served as Lord Mayor of London 1904-5, and was created a baronet in 1905. Sir John Pound died in 1915 and his eldest son, John Lulham Pound inherited the title. The business continued through until around mid way in the 20th century when it was acquired by what is now known as the John Lewis Partnership. Messrs. JOHN POUND & Co., 81-84, Leadenhall Street, Leather Goods Manufacturers, established 81 years. This firm was established by the father of the present Lord Mayor in 1823 (some say it was some years before). It was, however, a flourishing City business under the name of Pound & Tasker at that date. Mr. Tasker died about 1857, when Mr. Pound admitted his two sons into partnership. Mr. Alderman John Pound is the surviving brother, and the business, under the joint management of himself and his two sons, Mr. J. Lulham Pound and Mr. Percy H. Pound (his partners), has developed into one of the largest of its kind in the kingdom. During the 81 years or more it has been established it has absorbed many other businesses, and has now three large factories and eight distributing warehouses. John Pound & Co. entered marks at the London Assay Office on two occasions, on the 8th October 1904, and the 15th April 1905, all 'JP&Co.' in an oblong punch with clipped corners. John Pound & Co. also entered marks at the Birmingham and Chester Assay Offices. Probably established in the 1870's, the Die Sinker, Engraver and Medallist James B. Sly's business was continued under the same name by Frank Hawkins Sly by 1898. The business moved in 1905 to 9&10, Edward Street, Wardour Street, Soho. Marks were entered at the London Assay Office on the 1st December 1898, 10th November 1899, 16th March 1900, 9th March 1905, and 11th May 1908, all were 'F.S' (Frank Hawkins Sly) in an oblong punch in various sizes.